First day of September! How shall I celebrate? How about something LCHF/keto? Most crackers are off limits on the lchf/keto diet. Shame, since cheese and crackers go hand in hand. I spotted Flackers at Fairway and decided to give it a try. I was expecting the worst, but it was really good! Looking at the ingredient list - flax seeds, apple cider vinegar, and seasonings - I knew I could replicate this at home. There are quite a few flax seed cracker recipes out there, but it seems like most of them call for ground flax seed meal. And I'm sure that's fine, but I wanted to replicate the whole flax seed crackers I had. The flavor combinations are up to you, this batch was "cheese" and garlic flavored. Why the quotation marks? You'll see. 1. 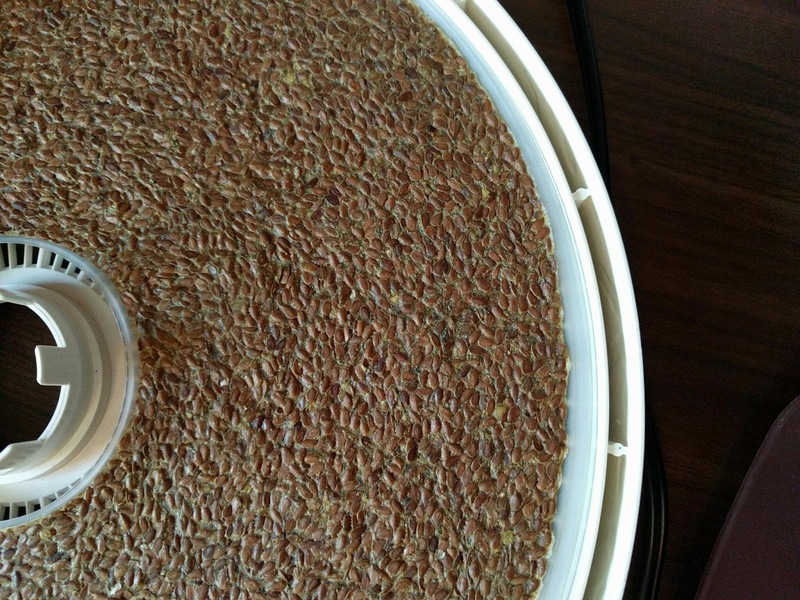 Mix the flax seeds and water in a large bowl. Set aside for 1.5 - 2 hours. Should be gelatinous, pour off any excess water. 2. Mix in the remaining ingredients. The addition of nutritional yeast should be enough to thicken the mixture. Add more, if necessary. 3. Spread the mixture in a thin layer on a solid food dehydrator tray. Set on a low temp, ~ 150 degrees. Let it dry about four hours. If it's dry on top and still flexible, flip the cracker over and allow it to dry another 2-4 hours. Break into even sized pieces and store in an air tight container. This can also be baked in the oven, I have not tested it yet, but I'm guessing same temperature and same length of time.